Live an authentic ceramic experience in which history and magic will be the protagonists. Visit with professional official guide during the whole experience. 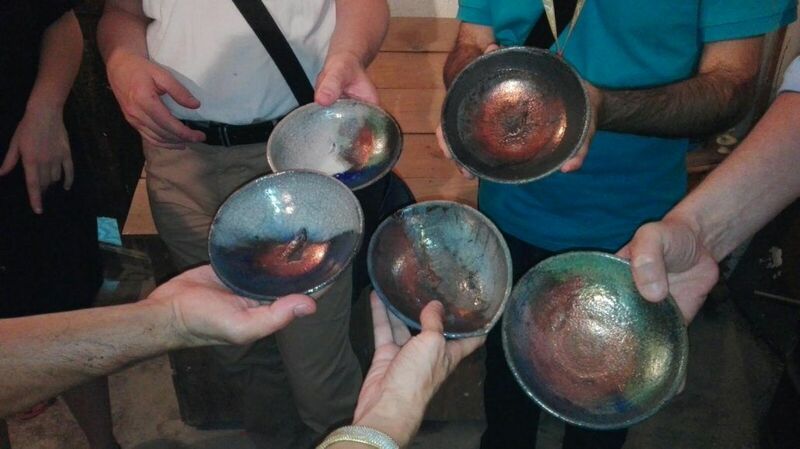 Tickets and visit to the Museum of Ceramics of Manises. Advice and help at all times from an artisan. Instructions to work in both parts of the workshop. Materials needed for the workshop. 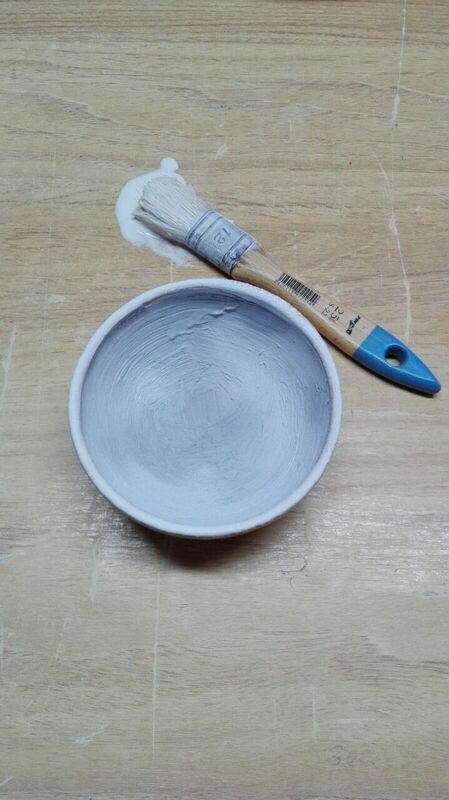 The bowl that each one has painted that will be taken as a souvenir of the ceramics workshop. 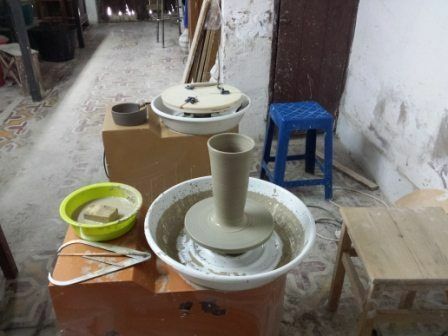 With this ceramic workshop you will have a very interesting journey through the history of Manises and its ceramic tradition to end with a unique experience. 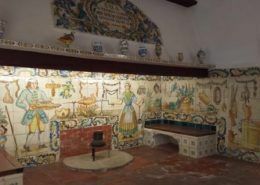 The ceramic tradition of Manises comes from centuries ago. It is in the 14th century when the reflex pottery imported by Muslims from Andalusia is introduced. Later the knowledge of their ceramics in golden and blue tones spread throughout Europe and is a trend among the upper classes of nobility and clergy and between kings and queens. The castles and palaces of Europe are adorned with ceramic pieces from Manises and Paterna and even the Vatican succumbed to such imposing works. 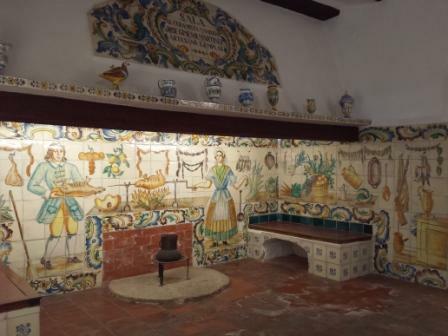 To get to know its great ceramic heritage we visit the Museum of Ceramics. The museum is located in an 18th century majestic home that also adds value to the visit. It is a walk through history from the 14th to the 20th century. The kitchen-dining room is in the first room and corresponds to the original 18th century house. On the way to the ceramics workshop we take a walk through the Barri d´Obradors in Manises. 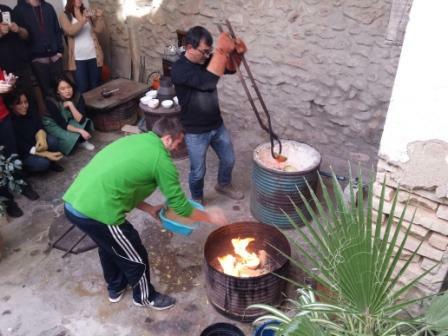 For centuries, this neighborhood has been home to most of Manises’ ceramic production. Among its streets and squares were most of the pottery factories. There are not many factories that remain standing but this walk allows us to live for a few moments what was that outstanding tradition. 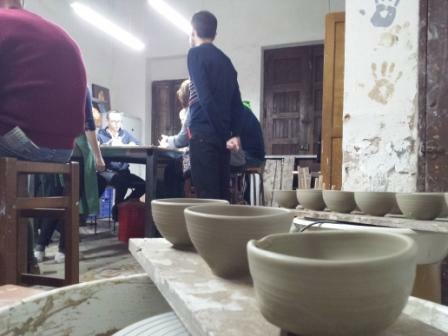 The Barri d´Obradors takes us to the last stop of the tour: the ceramics workshop. If you go through the door it would not occur to you that this is the place where the magic takes place. It is a professional workshop, in which its craftsmen work day by day creating and producing authentic works of art. In fact, it has worked with the best Michelin Star chefs designing and providing unique works made to measure for its restaurants. 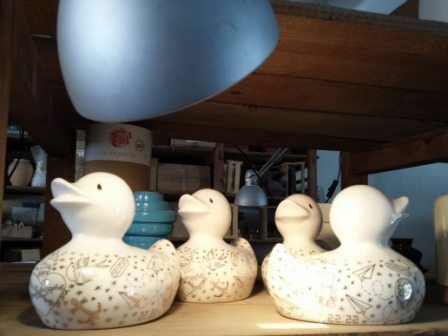 His owner and craftsman does not stop to reap success thanks to his effort and work and also thanks to his passion for ceramics that transmits to everyone who has at his side. It is also a workshop in which ceramics is worked from a different point of view as it bets on the avant-garde and new trends. Its craftsman takes ceramics to the limit, working with different techniques and studying new ways of working with it. Once we know the “theory” it’s time to get down to work to experiment with ceramics. We want you to touch it, feel it and leave your own mark. 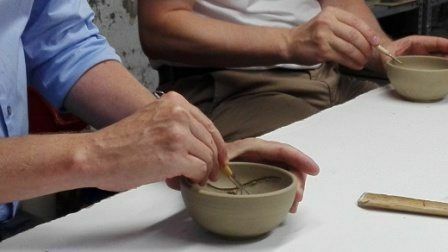 The ceramics workshopconsists of two parts: modeling and the raku technique. In the modeling phase, a piece or piece of “clay” is manipulated. It is important to know that it is local clay and therefore the one that has been used for centuries to make the pottery of Manises. The objective is to let our imagination and creativity speak for ourselves and transmit it to the piece we are modeling. Feeling the “clay” in your own hands allows you to know much better how difficult is to give a piece the shape you want. It helps us to put ourselves in the skin of the craftsman for a few minutes and feel what the craftsman feels when he is working and creating. It is very satisfying to see that everyone has something to tell and that each piece is unique and valuable. The raku technique is essentially a technique that was developed in Japan and is related to the tea ceremony. 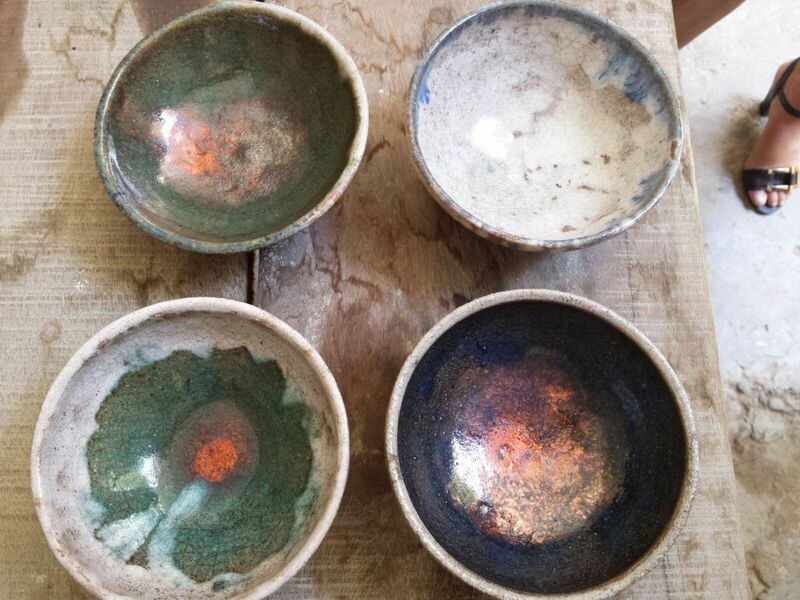 It was a tradition that at Zen Buddhist masters’ meetings, guests drank tea from their own cups, which they themselves made and decorated with oxides. After mono-cooking for a few minutes in a wood-fired oven, they were able to enjoy their own cups. Furthermore, this technique coincides with Zen principles and beliefs, since the four elements of nature converge in it: earth, water, air and fire. First we paint some ceramic pieces with different oxides. As in modeling, in this part creativity and imagination will make your piece unique. Once we have painted them, they are put in a wood oven. It is there when the four elements come together: earth, water, air and fire, the magic is produced. When we take the pieces out of the oven we will discover an unexpected result. That piece will be the best souvenir that you will be able to take from this ceramic experience and from this ceramic workshop in Manises. 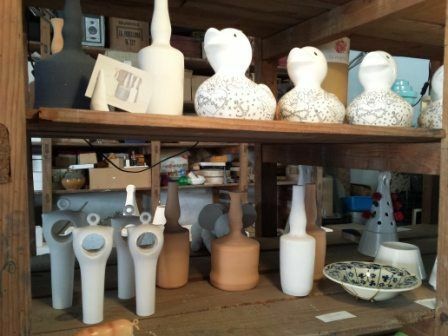 The ceramic workshop is complete when we combine it with the rich gastronomy of the area. A nearer store with oven in the area is responsible for the groups that make the workshop also marvel at the rich local cuisine. Handcrafted products are served along with drinks that are tasted while the ceramic pieces that have been painted are finished baking.